Private and secluded, yet only 15 min. from downtown Helen, this bison ranch turned family compound is as well designed as it is unique. Perched on top of Tray Mountain & bordering U.S. National Forest, the fully fenced 14.86 ac. property enjoys a helipad for easy access & manicured grounds showcasing spectacular distant mountain views centered on Mount Yonah. 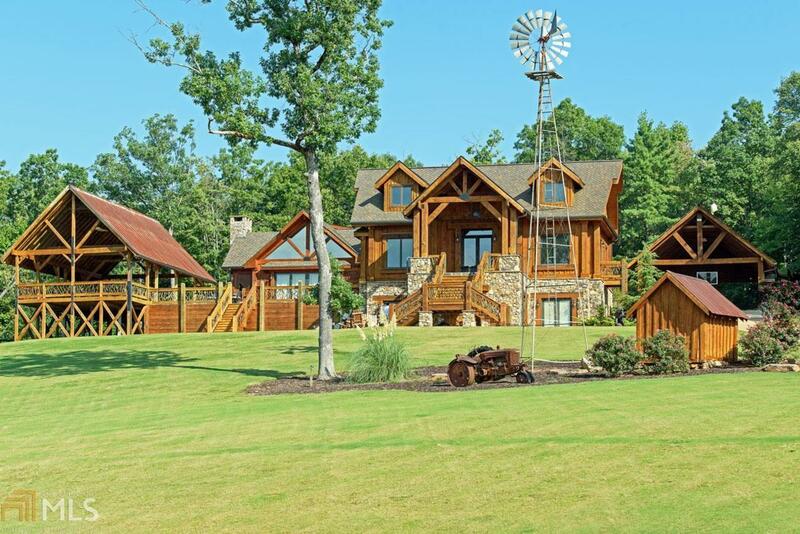 Designed to host large groups with 15 bedrooms & endless spaces for entertaining indoors & out, the property includes a 6BD, 6.5ba luxury lodge-style main residence, a 6BD, 4ba log cabin & a 3BD, 3ba party barn with a chefs kitchen, margaritaville-style full bar & dining for 20+. Though used as a private residence, this property accommodates large crowds without sacrificing the privacy of guests.